Do you want to know about High – Level Steps to Provisioning Oracle SOA Suite on Java Cloud Service? 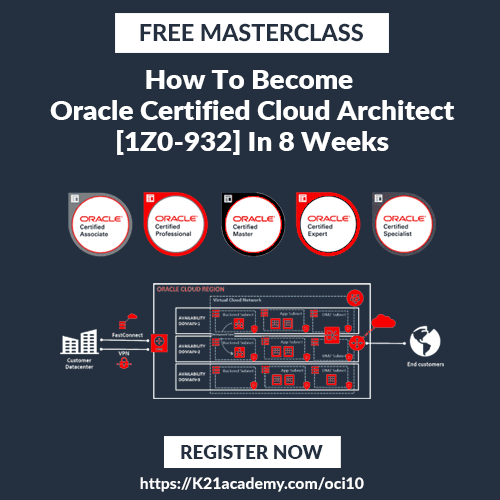 [BLOG] Provisioning Oracle SOA Suite on Oracle Java Cloud Service High-Level Steps Visit: https://k21academy.com/jcs13 to learn about the same. Want to know How to Create a custom service instance & what are the Prerequisite for using Java Cloud Service – Virtual Image🧐 [BLOG] JAVA Cloud Service Offerings: JCS VS JCS – Virtual Image Instance Click Down Below 👇🏻 https://k21academy.com/jcs12 & Get a Step-by-Step Guidance to Create a Database using the Virtual image service level.